Buckingham Churches: Salem Church | slate river ramblings . . . . In 2013, I set out to discover the nineteen Buckingham County churches referred to in Thomas Baldwin’s Gazetteer of the United States (1854). Thus far, thirteen likely candidates have been identified. Salem Church appears to be a good possibility for number fourteen. At the request of my man Tom, who desires to become a member of your church at Salem, I write to give you some information as to his character that you may know whether you should admit him as a christian. “. . . if you think membership in your church would chasten the spirit of Tom, I beg you to admit him, on probation. I shall do my best to mend his behavior here at Merry Oaks. . . .
On a Civil War-era map of Buckingham County, Salem Church is located not far from the Cumberland County line. 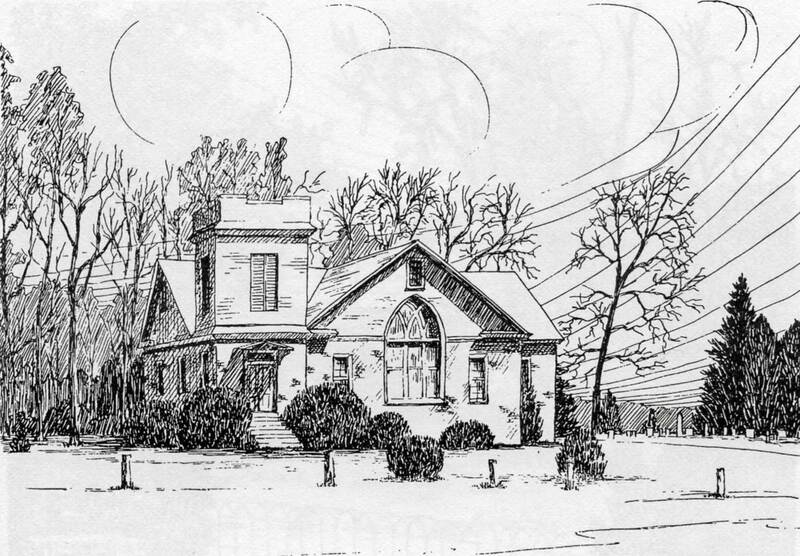 In 1924, a new building was erected at this old site at 2160 Ca Ira Road and still serves today as Salem United Methodist Church. Among the burials in the church cemetery are members of some of Buckingham’s best-known families including: Gannaway, Shepard, Guthrie, Spencer, Davis, Huddleston, and Richardson. To catch up on previous posts featuring Buckingham’s mid-19th century churches, just type Thomas Baldwin in the search box. Enjoy the results! Salem Methodist Church | slate river ramblings . . . .